After many months of planning, the Global Alliance For Musculoskeletal Health are happy to announce that the G-MUSC Symposium and Annual General Meeting will be held in Berlin from 22nd – 23rd October, 2017. The G-MUSC meeting will begin on Sunday, 22nd October. On the Monday morning G-MUSC delegates will participate with the WHO consultation group in a shared session. 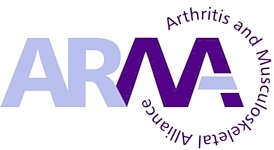 Monday afternoon content will include NAN-hosted workshops for the group to share experiences of collaborative working related to musculoskeletal health and ageing which will directly feed into the WHO Meeting. As an outcome of our G-MUSC Symposium, at the request of the Federal Ministry of Health of Germany, we will be developing a ‘consensus document’ regarding the importance of musculoskeletal health and maintaining mobility over the life course and the role of integrated care in delivering this. As you know, maintaining mobility and a healthy musculoskeletal system is essential for quality of life and is particularly important in older people. This document will help to support the prioritisation of musculoskeletal health in the WHO Healthy Ageing work. We look forward to your input into the development and finalisation of this consensus document during October. 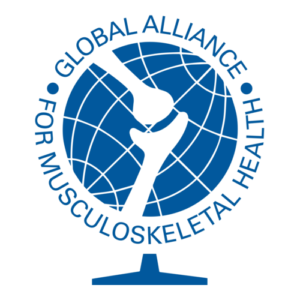 Please note that there will be an ICC Meeting on Saturday 21st October in the afternoon and the Annual General Meeting (AGM) of the Global Alliance for Musculoskeletal Health will be held in the afternoon of Monday 23rd October. Please MARK YOUR CALENDARS NOW and register your interest by contacting office@bjdonline.org. Further details will be provided shortly regarding venue, location and meeting agenda, as well as a call-out to all NANs for update posters.